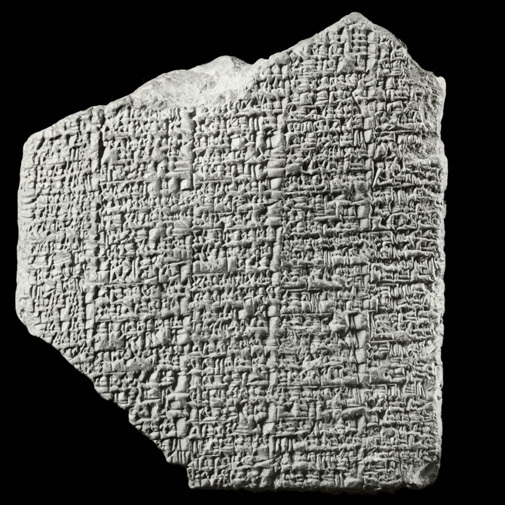 Many Sumerian proverbs have been recovered and translated from sets of cuneiform tablets dating back to the third millennium BC. In these collections the fox is the commonest wild animal that is mentioned. Of the thirty-seven fox proverbs in the Sumerian literature several stand out as describing a relationship between two animal forms. The most easily understood of these involve The Fox and The Wild Bull. Collection 2:65 The fox trod on the hoof of the wild bull. It didn’t hurt, it said. Collection 8:21 A fox was pursuing the testicles of a wild bull as though about to die of hunger. He who seized the tail of the lion sank in the river; he who seized the tail of the fox escaped. This refers to the water ordeal, which was part of the Sumerian and Akkadian legal codes, and to the seasonal level of the Euphrates into which the offending party was thrown to see if they would sink or swim. During the spring the river level was at a maximum whereas in the autumn it was at its lowest. 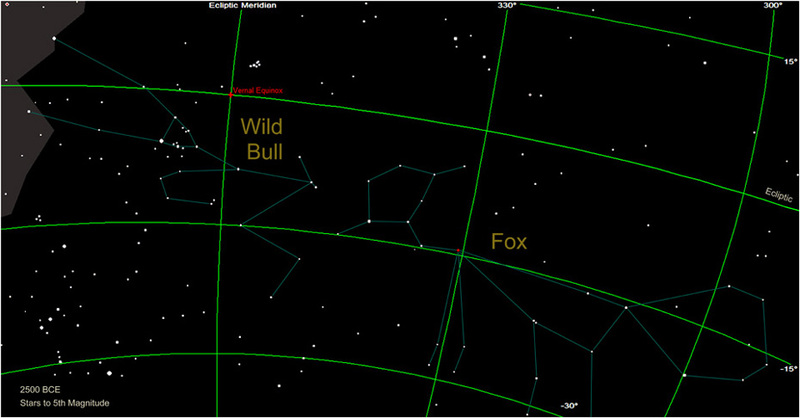 Through the third and second millennia BC these seasonal periods coincided with the zeniths of two stars: The Tail of The Lion (beta Leonis), and The Tail of The Fox (beta Ceti).